(TORONTO) – Canadian drivers looking for a minivan that’s as big on style as it is on versatility will find everything they need - including surprising affordability and more – in the all new, third generation, 2011 Toyota Sienna. The new Sienna continues to be the only vehicle in its segment that offers an all-wheel-drive option – ideal and surefooted for a changing Canadian climate. The new model will offer innovative firsts in versatility, refinement, comfort, and entertainment. 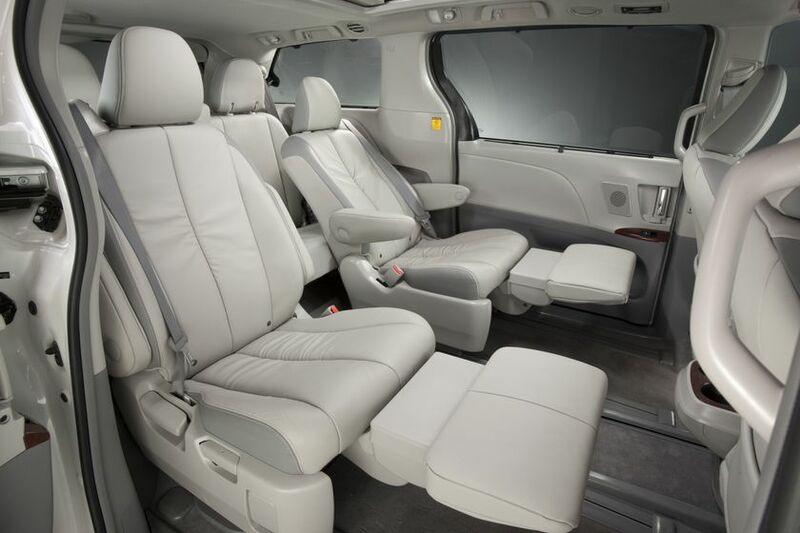 With the choice of eight models, two powertrains and drivetrains, flexible seating, second row ottoman seating, a wide split-screen entertainment system, and a multi-panel panoramic moonroof, Sienna drivers will be delighted by the made to measure philosophy behind the 2011 Sienna. For its third generation, the Sienna has been reinvented as a more expressive and dynamic vehicle with a stronger profile, high shoulder character and responsive handling. With state-of the art features and rewarding driving dynamics, it is a vehicle that car-lovers will find satisfying to drive. Sienna will introduce new models and a four-cylinder powertrain that offers more power while using less fuel, all the while continuing to be the only offering in the segment with an all-wheel-drive option – perfect for Canada’s varying roads and seasons. 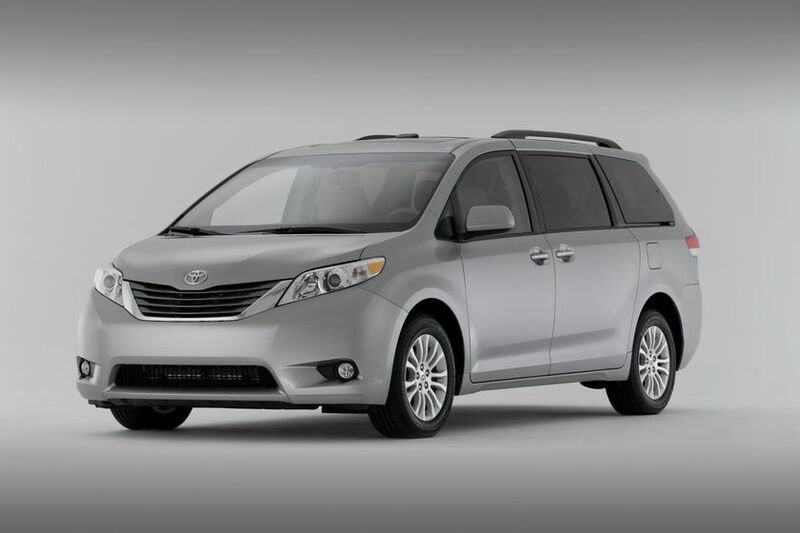 The Sienna will come in eight conveniently configured models, all sharing a distinctly new visual direction and features. The third-generation Sienna explores a more modern, innovative and bold design – with a sportier profile that’s complemented with distinctive window shapes. Working closely with Toyota engineers, Sienna designers were able to create a high and wide shoulder to embed a deliberately hidden door slider within the window graphic. The strong high shoulder and distinct fender flares visually emphasize the wheels. Dimensionally, the new Sienna rides on the same wheelbase as the prior generation, but it is wider and slightly shorter overall. In the front is a bold face design. Sophisticated headlamps angled higher than the grille create a confident front presence. The sculptural rear corner separates the Sienna from boxy minivans as it surrounds the functional yet elegant LED taillights. The interior features upscale quality and elegance, yet every element is logical and functional. The distinctive swept shape of the instrument panel creates the perception of increased personal space for both driver and passenger. Careful attention to the details adds extra value to each component. Sleek seat designs add flexibility and roominess while central climate and audio controls are integrated into a single graphic element. Overall, the new Sienna has a sportier, classier appearance. A coefficient of drag of just 0.306 is the result of careful design work and is a contributing factor in maintaining a quiet cabin and providing excellent fuel efficiency. A choice of two responsive dual overhead cam engines will be available: a 3.5-litre V6 or 2.7-litre four-cylinder. Both engines offer the latest in efficient, lightweight technology, including Dual Variable Valve Timing with intelligence (VVT-i), roller rocker arms and an Acoustically Controlled Induction System (ACIS) that changes the length of the air-intake pipe to supply more torque on demand. The 3.5-litre V6 generates up to 266 horsepower to deliver a 3,500 lb (1,587 kg) towing capacity. Following Toyota’s More Power, Less Fuel philosophy, the 2.7-litre four-cylinder engine produces up to 187 horsepower, exceeding some competitors’ V6 performance, while delivering even greater fuel efficiency. Fuel consumption for the 4-cylinder is rated at, City 10.4 L/100km, 7.5 Highway and 9.1 L/100km combined. V6 is rated at City 11.5 L/100km, 8.1 Highway and 10.0 L/100km combined. Both engines are matched to a state-of-the-art, electronically controlled six-speed transmission with sequential shift that provides a smooth gear-shift feeling and quiet performance in a lightweight, compact size. The suspension employs front MacPherson struts, combined with rack-and-pinion electric power steering for a smooth, linear and highly responsive steering feel. With a wider stance, the new Sienna has a more direct steering feel. Under-body aero parts also contribute to dynamic performance. With so many distinct model choices, the new Sienna can be tailored to a wide range of purposes and pocketbooks. The Sienna can be configured with seven- or eight-passenger seating and with front-wheel-drive or all-wheel-drive power trains. The result is a lineup featuring a range of prices and amenities to accommodate different mixes of needs and aspirations. The LE four-cylinder model and the Sienna V6 model are equipped with an array of standard features that include: cruise control, dual-zone manual climate control, power windows with auto up/down and jam protection, AM/FM CD player with four speakers, satellite radio ready, auxiliary jack, power door locks, remote keyless entry, three 12V outlets, among other amenities. Standard safety features include Anti-lock Brakes (ABS), Electronic Brake-force Distribution (EBD), Brake Assist (BA), Vehicle Stability Control (VSC), and Traction Control (TRAC). The LE four-cylinder also includes: overhead console box, easy clean fabric, rear bumper protector, illuminated entry, colour-keyed door handles, and chrome grille surround. The LE 8-passenger V6, the LE AWD 7-passenger V6 and LE 7-passenger Mobility models are upgraded with even more features, including: 8-way power adjustable driver’s seat, backup camera, rear window sunshades, AM/FM/MP3 CD player, Vacuum Fluorescent Display (VFD), integrated XM® satellite radio, USB port with iPod® connectivity, and hands-free phone capability and music streaming via Bluetooth® wireless technology, and steering wheel audio controls, dual power-sliding doors, and power rear door. The LE AWD 7-passenger features 18-inch aluminum wheels. The XLE builds on the LE models, adding features such as leather-trimmed seats, moonroof, and an anti-theft system with engine immobilizer, heated front seats, clearance and back-up sensor, 18” Alloy wheels and an innovative second row ottoman seating scheme,. The XLE Limited Package and the Limited AWD 7-passenger V6 are well-appointed with the following additional equipment: a 10-speaker JBL® premium sound system with 4-disc CD changer, voice-activated DVD Navigation and wide angle rear camera with integrated back-up guides, multi-panel moonroof, push button start, smart key, power folding heated mirrors with auto-dimming, puddle lamps, integrated signal lamps, and reverse auto tilting, rear-seat Dual View Entertainment system, and more. The Limited FWD 7-passenger V6 also features 19-inch alloy wheels. 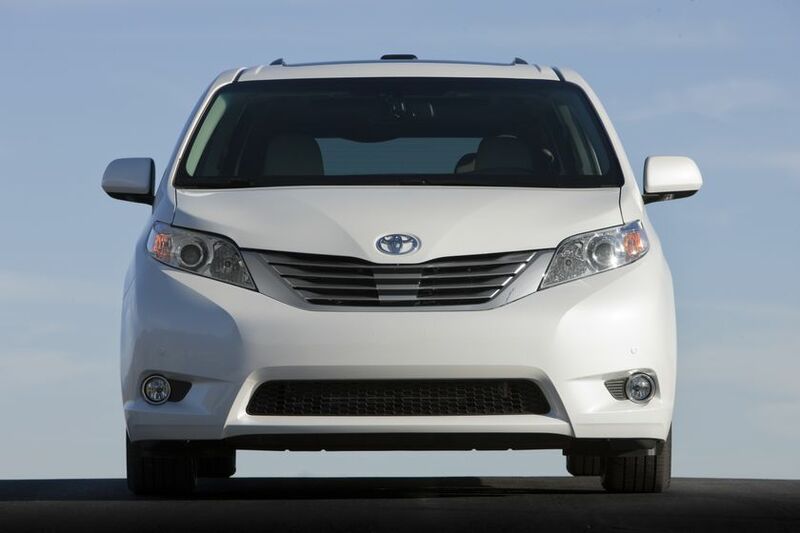 Given its upgraded engineering, every Sienna will ride well and track cleanly through corners, but none more so than the newest addition to the line: the Sport Edition 8-passenger V6. The Sport Edition is designed for those who appreciate an aggressive design with responsive performance. The front has a more striking appearance and the side skirting visually lowers the vehicle. Aerodynamic sculpting hugs the standard 19-inch alloy wheels, which are specially selected for sportier handling. Separating the Sport Edition further from other models, the smoked tail lamps create a visually prominent statement. Sitting on a lower, sport-tuned suspension the Sport Edition is geared up for quicker feedback and better handling. Additionally, it is built with exclusive instrumentation and unique interior colours and trim. The cabin of the new Sienna represents a conceptual leap forward, blending options for more individual space, better cargo capacity, and improved group interaction. Numerous storage bins, cup-holders and cargo spaces have been strategically placed in convenient locations. A conversation mirror, integrated into the sunglass case in the overhead console, allows visual contact with rear seat passengers. Throughout the cabin, there is an open field of view to create an airy, roomy ambiance. With wider fields of vision rearmost passengers can see forward more easily. Both seven- and eight-seat cabins can be configured for a full contingent of passengers, a load of cargo, or a convenient mix of both. In seven-seat cabins, the second row captain chairs slide 585.2 mm (23 inches), moving to the rear to create legroom for the tallest passengers and easier ingress and egress. They can be moved forward close to the front seats to make it easy to care for a child passenger, while also allowing easy access for third-row passengers. A sliding centre console on the XLE all-wheel-drive and Limited models can be shared between the front seats and second row passengers. The illuminated console slides into the second row area to provide convenient access for both rows, so the need for storage and passenger comfort can be equally served. For even more passenger comfort, there is standard second-row lounge seating on the XLE and Limited model, which includes leg and foot support. Second-row captain chairs on all models have dual armrests, and a one-motion release mechanism in case the seat needs to be removed. On eight-passenger models, the second-row centre seat can be removed and stowed in the left side of the rear-storage area. When the centre seat is stowed, a cup-holder and storage tray is revealed. The eight-passenger interior can easily be optimized for seven passengers, and quickly reconfigured back for eight. The second-row seats also feature a Tip Up and Long Slide feature, allowing them to slide forward and back on extended rails, making more room for people or cargo as the need arises. All second row seats, regardless of configuration, move out of the way with one touch to gain easy access to the third row seats. The 60/40 Split and Stow third-row seating folds flat with one motion manually. The third row has been moved about 50.8 mm (two inches) rearward for enhanced comfort. With the third-row seat in use, there is enough storage for five golf bags or four large suitcases. Four handy grocery hooks, with two in the back and two in the second row seatbacks, add storage convenience. 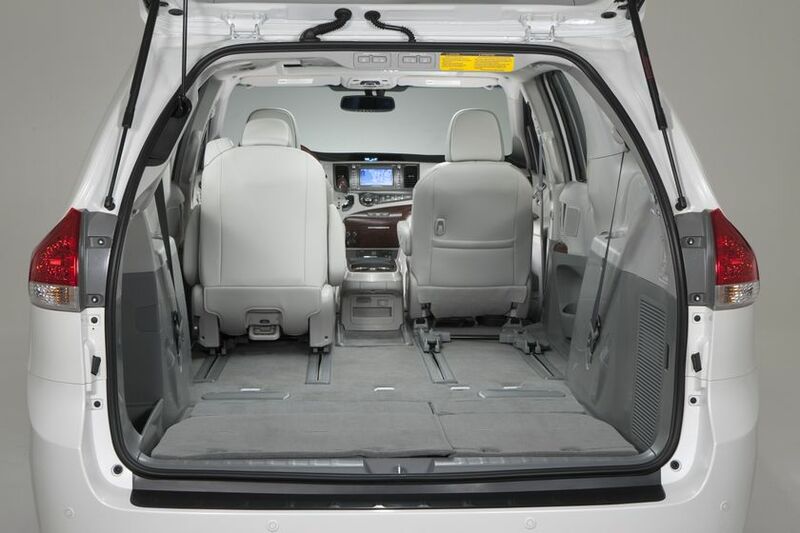 It is easier than ever to load the Sienna, thanks to wider doors and one-touch second-row seats. By sliding the second-row seats all the way to the rear, a walk-in aisle is created, making it easier to enter, exit, install a child seat, or place a child in a seat. The second-row seats can be moved all the way to the front, just behind the front row, to maximize rear cargo capacity, especially with the third-row stowed flat. With the third row seat stowed and the second row seat removed, the cargo area is approximately eight feet long and four feet wide. The back door opening is broad and spacious, set at a height that makes loading and unloading easy. A Toyota first rear-seat Dual View Entertainment System is another innovative option. The system uses two displays side-by-side to create a seamless 16.4-inch widescreen image from a single source. When two separate entertainment options are called for, the system can split the screen into two individual screens, each with input from separate sources. Used as a single screen, it can be easily seen from the third row, and it can be operated from any seat via remote control. Used as two screens, the system can accommodate the preferences of two separate passengers who might want to play a video game or watch a second DVD simultaneously via auxiliary inputs. Other technological upgrades include a Toyota-first Panorama Camera rear monitor. 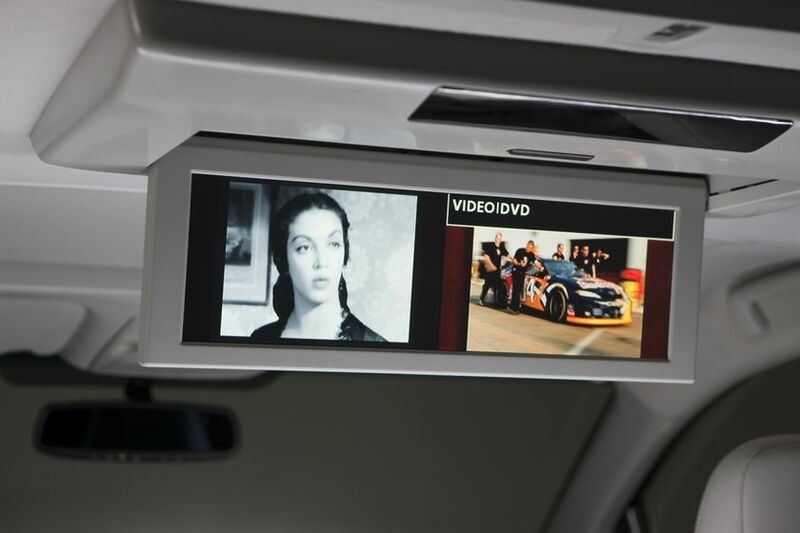 It provides two views behind the vehicle including a 180-degree view, and on-screen back-up guides, helping drivers to reverse into or out of parking spots or driveways. 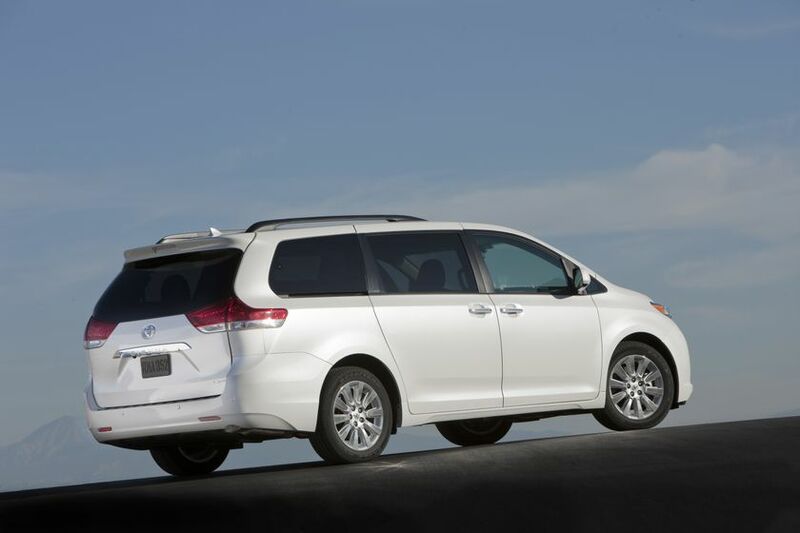 An enhanced version of Toyota’s Vehicle Stability Control (VSC) is standard on all 2011 Sienna models. VSC coordinates the Anti-lock Brake System (ABS), Electronic Brake force Distribution (EBD), Brake Assist with Traction Control (TRAC) and Electric Power Steering (EPS), to help provide a the driver a better-integrated, controlled vehicle in the event of an emergency manoeuvre. The latest in advanced vehicle control technology can be found on the new Sienna: Vehicle Dynamics Integrated Management (VDIM). The VDIM system coordinates brake control with engine output and steering inputs, allowing all the control and safety systems to cooperate seamlessly. Unlike reactive traction systems, VDIM operates proactively. During normal driving, the system works smoothly to enhance control even before the vehicle reaches its limits.